Many non-profits are just beginning to dip their toes into the waters of internet marketing, while others have embraced it fully. Every organisation needs to consider the opportunities online engagement presents, as well as the implications of staying away. There is a heightened level of expectation amongst subscribers, the media, and community leaders that they will have the ability to enter into a relationship with a non-profit organization. Adopting certain forms of social media, or increasing an already existing involvement, can provide significant benefits with end-user engagement and build long-term support for and within your online community. According to a recent Dartmouth study; the largest non-profit organizations are outpacing corporations and academic institutions in the adoption of digital media. Over 80 percent of respondents feel that digital marketing and social media is at least somewhat important to the non-profit’s future strategy. The direct link between social media and a new customer might not always be as direct as other forms of engagement. The response non-profits get from Facebook, Twitter, Instagram, YouTube and other networks is often stronger than “traditional” communication channels. 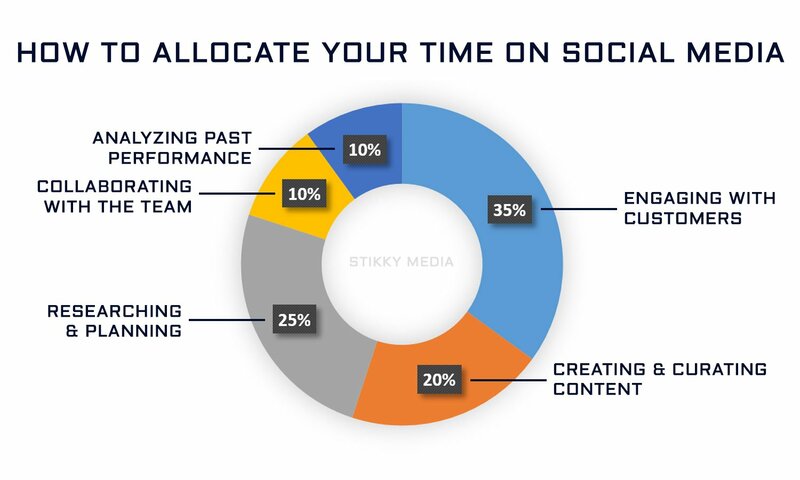 When evaluating social media, it is important to consider the value it brings to all aspects of your organisation. Whether it is learning more about your members and subscribers so you can better serve them; building awareness beyond the fellowship; or reaching those in need, social media can have a positive helping hand. First and foremost, it’s important to define your organisational goals and determine what should be accomplished. A presence on social media shouldn’t be a standalone occurrence; it should be integrated and aligned with strategic plans and intended audiences. The actions taken and the content created should echo overall communications and digital strategy. Consider how to connect the organization’s social media efforts to the website, content, and archived material. Social media provides opportunities for connection that other channels may not. Successful non-profits develop audience personas, which are representations of their ideal supporters based on a combination of demographic data and information about individual members. Successful non-profits develop audience personas, which engage their subscribers through a mixture of conversational posts, visual presentations, and interaction with other non-profits with a similar mission. Don’t worry about adopting every network, especially in the beginning. Focus on doing an excellent job on two or three networks with a large potential for reaching your audience. Involved social media followers can support the recovery of themselves and others, expand awareness of Alcoholics Anonymous, and perform the essential service of transmitting the message of recovery to others. By finding ways to connect with and inspire people who care deeply about the message, and by giving them opportunities to participate, both online and offline, your organisation will enhance the overall benefit to the fellowship and subscribers. Google Grants can bring greater visibility to your organization, as well as more subscriptions, more service involvement, and a wider awareness of your organization’s brand and message. “…it has helped us reach thousands of supporters around the country, helping us effect change through awareness.” – Ping Lo, The Fred Hollows Foundation By using Google Grants, your organization will show up in search results allowing you to reach those who are seeking element of your brand or message in general or who are looking for your organization specifically. One-and-a-half billion people come to YouTube every single month. That is the equivalent of one in every five people around the world. YouTube will enable your organization to reach members of this large and passionate audience the world over. YouTube’s built-in tools will help improve your video’s performance and subsequently allow you to connect with even more viewers. A dedicated Facebook page will give your organization a voice and presence on Facebook that it currently does not have. An active Facebook page creates opportunities for new people to discover your organization, and can serve as a path for connecting subscribers with new content being offered by your organization. At the very least, a business-centric Facebook page can contain contact information allowing visitors to find your online presence and store. Furthermore, people who like your page may see your posts in their News Feed when they visit Facebook. They can then like and share your posts with others, distributing your message to those who are not currently part of your page.